Born in Tangiers to a father from Gibraltar and a mother fromAndalucia, surrounded by Sephardic Jewish friends, Juanita is a resentful spinster in a liberal, cosmopolitan city, a melting pot for different artists and cultures whose permissive environment is under threat. Juanita’s strict, resentful personality, subject to a repressive sense of morality that leads her to judge all those around her, holds back a storm of hidden desires: fascination with the movies, attraction to men, envy and jealousy of her sister, who symbolizes all that is open and modern compared to the desolation and implacable loneliness of her empty life. A cult novel. 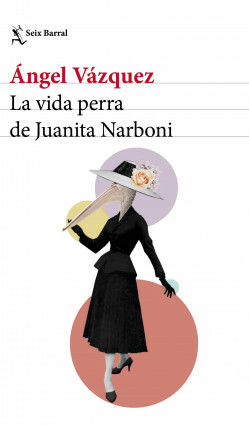 A masterpiece of 20th century Spanish literature. The rediscovery of a cult novel with an astoundingly modern feel. Written in extraordinarily original language that preserves an invaluable linguistic legacy: Tangiers Spanish of the forties and fifties, a mixture of Sephardic, Arabic, Portuguese and Andalucian.